The rules of engagement in affiliate marketing, for the most part, haven’t changed over the many years it has been in existence. 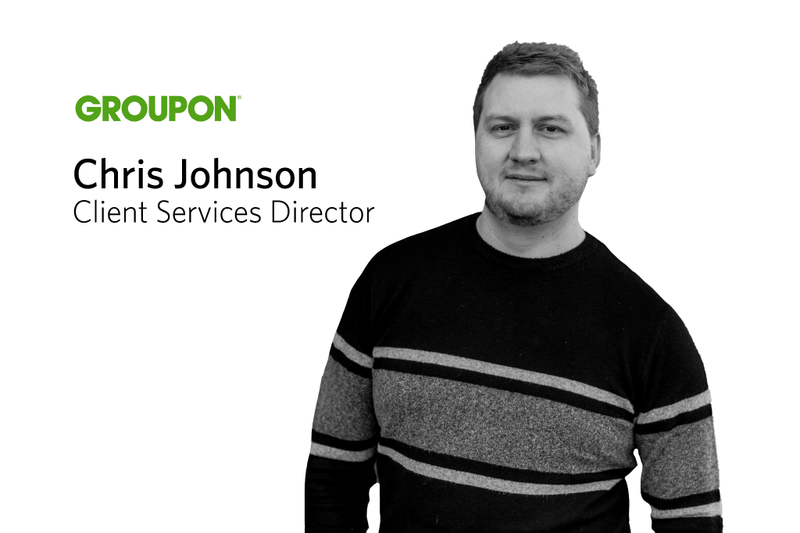 Extracted from his chapter in The Awin Report 2019, Chris Johnson, Client Services Director at GROUPON, shares how affiliate marketers can tell stories through their campaigns. Whilst we still threaten to become less siloed versus the rest of the marketing mix, remunerate in multiple ways and secure more budget for the channel, largely, we are still to this day fighting the good fight to alter the status quo. That’s the pessimistic view, I guess. Things are, however, starting to change. Having produced my fair share of conference agendas for the affiliate marketing industry in years gone by, the challenge was always adding new sessions of value that showed true innovation and ways of working, rather than reinventing the wheel on that year’s best practice affiliate marketing strategies. You only need to look at recent event agendas to see the breadth of topics that now take centre stage. Influencer strategy, incrementality, building performance cultures, product marketing and consumer psychology are just some of the buzzwords that drive engagement and generate ideas to reinvigorate the industry scene over the following year. Where the industry doesn’t aid itself well (and where we do, I personally don’t think we shout about it enough) is something that agencies achieve with aplomb and that influencers do naturally - telling stories. 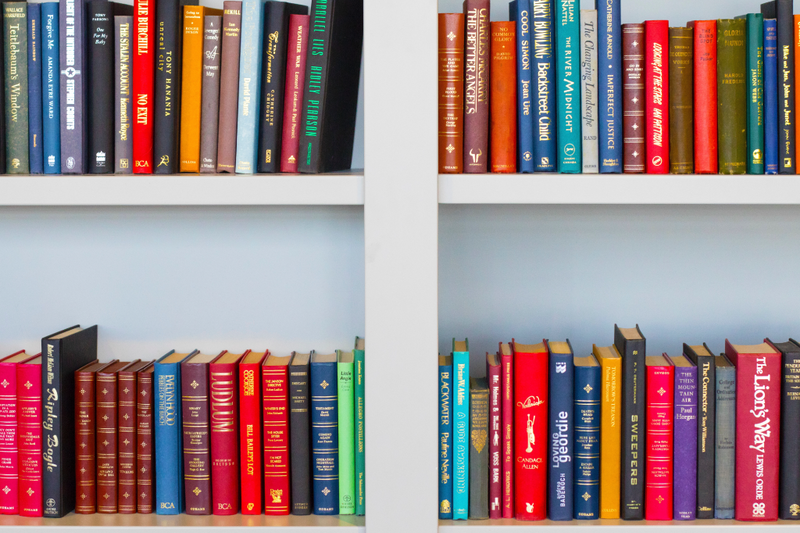 Take your favourite novel - a good story is not just something that engrosses you, but the majority of the time it causes you to recommend that novel to others. And it goes further, with the best novels tending to form the basis for future film productions. Pun intended - the story goes on. Why do I feel this is so important? The ability to be creative and innovative largely sits with either the audience owner, or a business that possesses great agility. Largely as an industry we’re therefore reliant on the affiliate to deliver campaigns that break the mould and ultimately enable us to shout about our collective successes. And why do we rely on the affiliate to drive this? Take your affiliate manager or digital marketing contact who’s working at a blue-chip brand. The brand is likely to be working with multiple agencies across its many marketing disciplines. Creative agencies, strategic agencies, consultants, search agencies, conversion specialists and other third parties. The internal fight to showcase creative genius and value is hyper-competitive, and as the sole representative of the affiliate channel, fighting the good fight is a huge challenge for many of our brand partners, especially when we now sit in a very measurable, budget-driven affiliate channel that’s often left to its own devices. In a great sense of irony, our industry successes, growth and way of conducting business have ultimately caused us a modern-day challenge. Recognising that we need to disrupt the internal value fight within the brands we work with, should be a major KPI for all industry stakeholders. This is the point at which we could benefit an entire industry by introducing more creativity, or storytelling, as I’ve come to call it. One of the best innovations I’ve seen from networks over the past couple of years was actually entirely non-technical. Awin came to us saying that one of their brand’s affiliate managers had managed to secure additional budget to put towards a creative campaign. We were asked to pitch for the budget, RFP-style, versus all other publishers in order to secure what was essentially an R&D allocation. Luckily, we are well versed with creative campaigns, and we did win the budget, executed a stellar creative campaign, and subsequently won an award for our combined efforts. The penny had dropped at Awin - and all of a sudden we were inundated with requests to compete for creative campaign budgets across a plethora of brands. The reality of doing something different, and importantly demonstrating how our industry is just as capable of being as creative as agencies and third parties, was being realised. 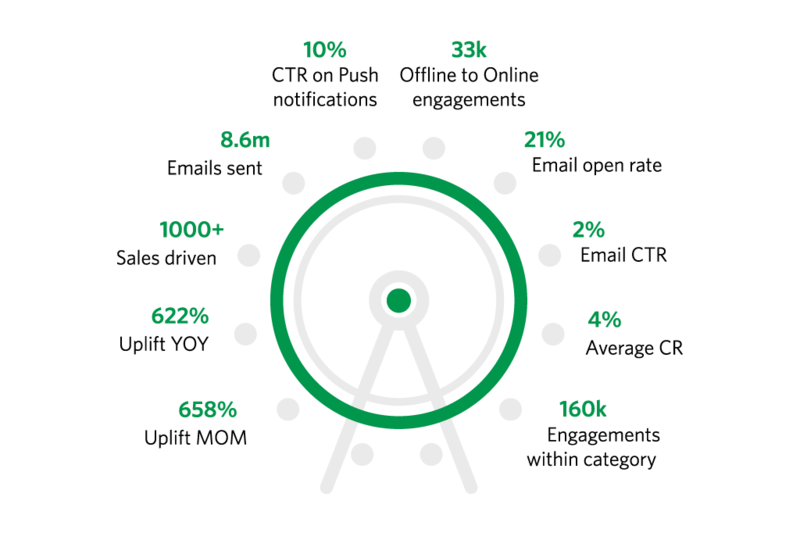 It was a simple innovation which changed many an affiliate’s way of thinking. We’re changing our nature; disrupting the status quo. This diversity in approach from brands and networks has resulted in a fundamental alignment of how we have been approaching campaigns. It has also led to us looking retrospectively at campaigns we had executed in years gone by that would easily class as being creative; ones that we hadn’t shouted about enough. Lesson learned. So - what does storytelling look like? A few of our own examples for you. Our in-house business intelligence unit were at a loss to understand why a particular date in May drove a significant amount of sales for a selection of our food-to-go brands. Every year, without fail, one Saturday drove us an insatiable number of sales. Eventually we managed to identify that it was in fact the evening of the (if you know it, I’m sorry!) Eurovision Song Contest. A closer look at the figures and nearly seven million Brits are said to enjoy the Eurovision festivities. It’s a fantastic example of complementarity. Staying in and watching TV whilst ordering a takeaway is a process we all enjoy from time to time. It enabled us to pitch for the following year, enacting a creative campaign that allowed one of our food-to-go brands the ability to ‘own’ one of the busiest days of the year for takeaway orders. We utilised all of our available advertising mediums and created segments of users that we knew from previous purchase history were avid TV consumers or serial food-to-go shoppers. Pitching a campaign that kept the food-to-go brand at the front of mind from the moment they woke up until the time the Eurovision show started, involved email, retargeting, segmented offer alerts, Facebook advertising and, finally, a push notification 30 minutes before the start of the live TV broadcast. It’s a campaign that we run each year now without fail. We even tested our Australian base with campaign messaging for breakfast takeaways seeing as they’ve also managed to participate in recent years! Another example that has turned creative thinking into repeat business is our half-term attractions campaign. Utilising our vouchercloud app we created a geo-fenced ‘ring’ around London’s zone 1 train termini. Think Paddington, King’s Cross, Waterloo, Euston et al. Anybody who had the vouchercloud app installed and subsequently entered London’s zone 1 ‘ring’ during half-term school weeks that hadn’t previously entered the same zone in the past 30 days, was added to a segment of users dubbed ‘tourists’. This enabled us to produce a campaign for one brand to again ‘own’ our half-term London attractions space, and anyone who was dubbed a tourist and entered our trigger zone was pushed offers for London’s best tourist attractions - think big wheels, waxworks, sea life centres and the scary side of London’s past. Incidentally, this also enabled us to work with last minute hotel brands over the Christmas party period. Fine-tuning our targeting to reach users who may have missed their last train home with reduced rates at nearby hotels, or even a first ride reduced cab fare home via our automotive partners, all adds to the creativity and value that we can drive brands on a more consistent basis. These are just a few examples of a continually evolving set of creative campaigns that we are pitching and delivering to brands as part of our ongoing partnership. The beauty of this approach isn’t just to whet our creative appetite, but it’s the associated value that, in my opinion, does the industry a favour. Referring back to our direct brand contacts, who are in a constant internal battle for creative ascendancy, the campaign execution and post-campaign reporting (the product of our creative efforts) they receive is used as a showcase of affiliate creativity. It gets the industry noticed and allows them to demonstrate how, even with set budgets and a complementary ROI, the affiliate industry should not be a creative afterthought and, instead, can justify more investment. We’re an industry of seriously creative minds but, ironically, perhaps, we’re not the best at our own marketing! Want more rich insights from over 80 contributors around the globe? Download The Awin Report 2019 in full here.